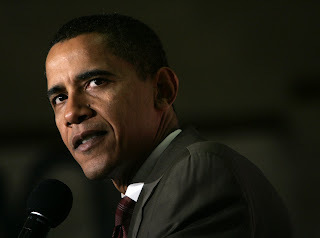 It's been such a long time that America's done anything on the world stage that I can feel really, really proud of, I'd forgotten what it feels like, if I've ever felt it at all. In recent years, it's just been a matter of more cringe-worthy or less cringe-worthy. Buh-bye, dear. You make me think of a scene from Fiddler On The Roof where Golde says, "May it fall into a river, may it sink into the earth, such a dark and horrible dream." 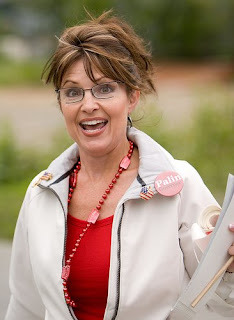 You know they are planning to assign Palin as the republican party leader for the 2012 election right??? So I guess, the horrible dream will get worse!!! The horrible dream will return. Palin-Brown for 2012! YeeHa! The very name of this potential Republican ticket hints at lurid possibilities. (Name three things pale and brown.) Actually they would make a pair of lovely dolls- like Ken and Barbie- The Palin doll would always be demanding more clothes while the Scott Brown doll's clothes would keep falling off. One thing that's nice about not living in America is that I'm rarely confronted with the idea of Sarah Palin.